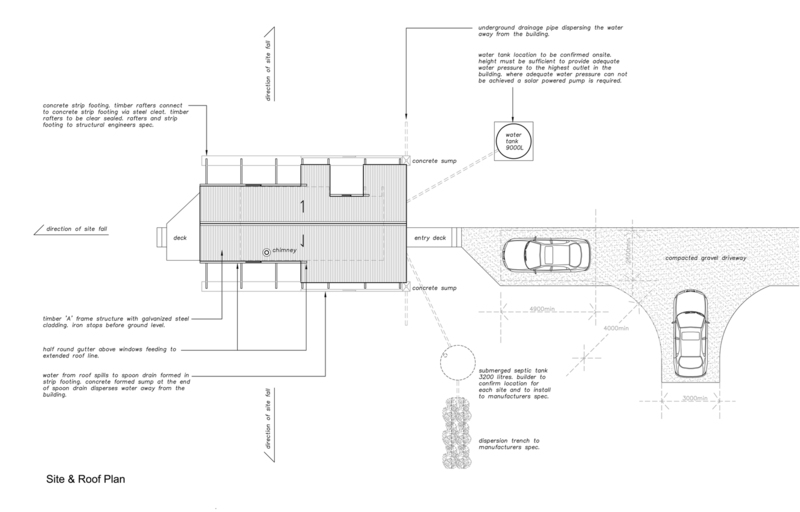 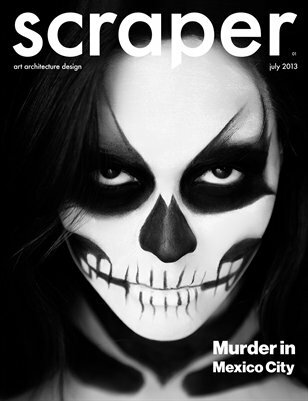 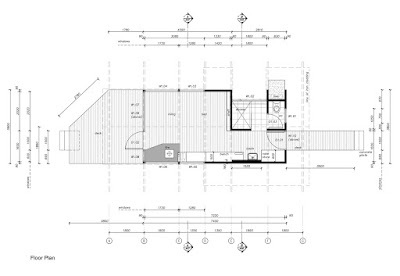 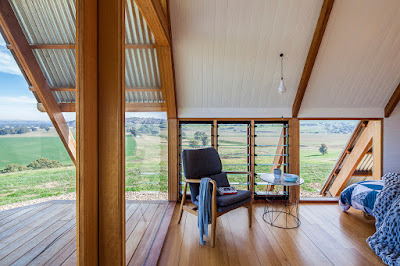 Designed by Anthony Hunt Design + Luke Stanley Architects. 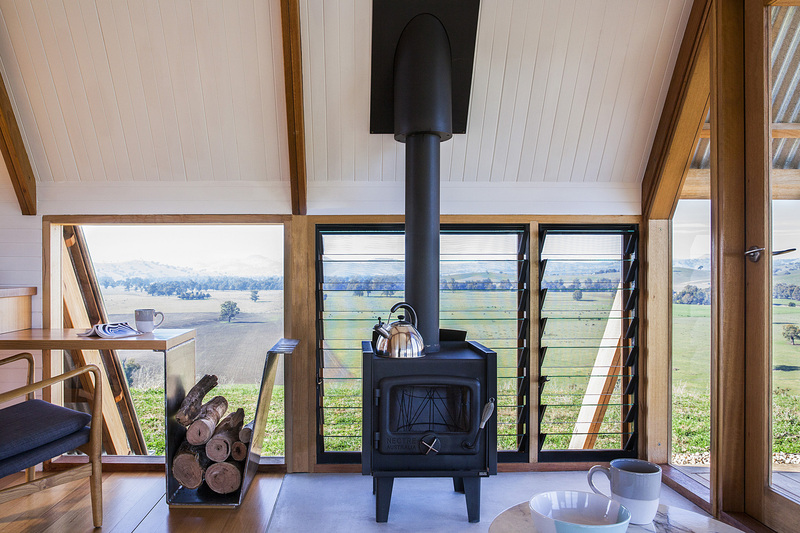 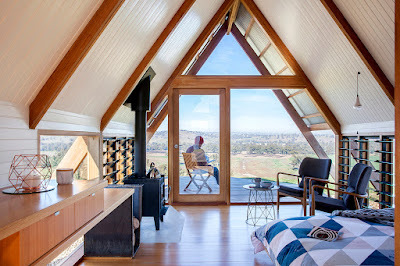 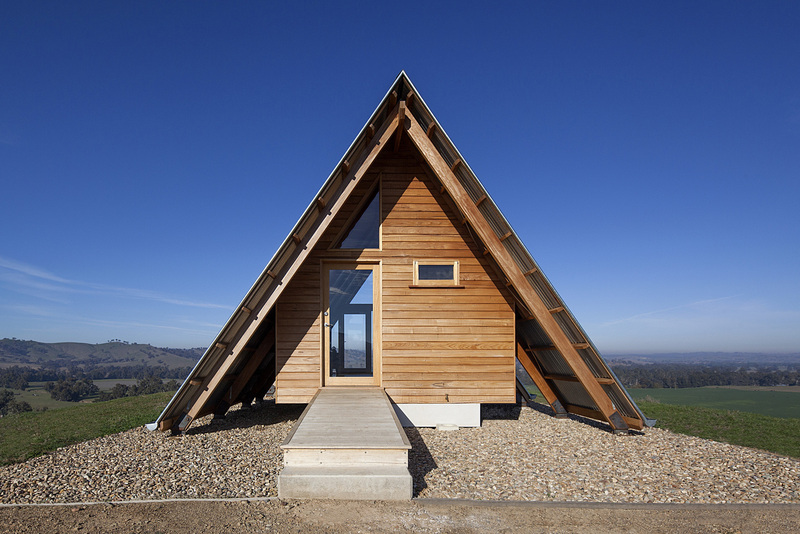 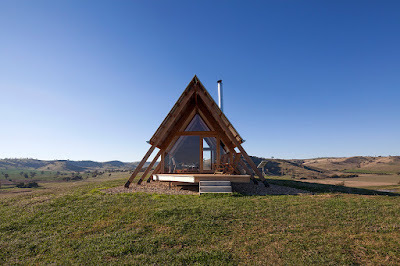 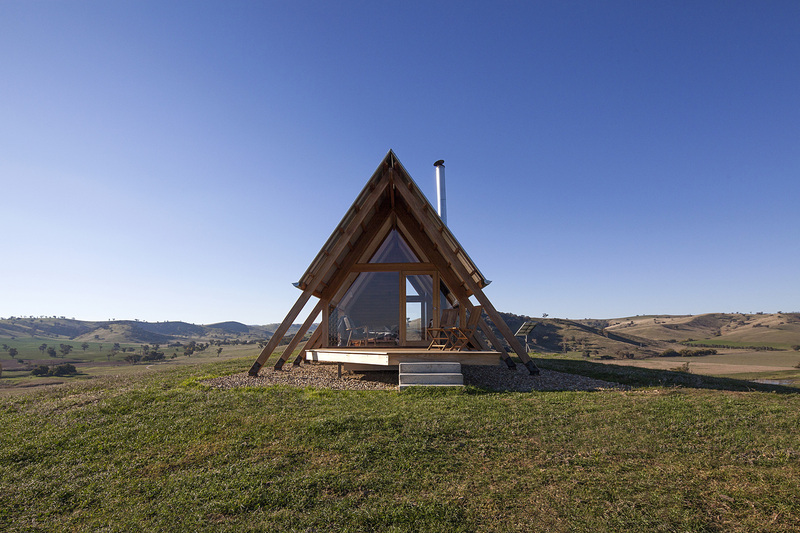 Sustainable Australian hardwoods were the obvious choice given the huts ‘eco’ brief and remote location. 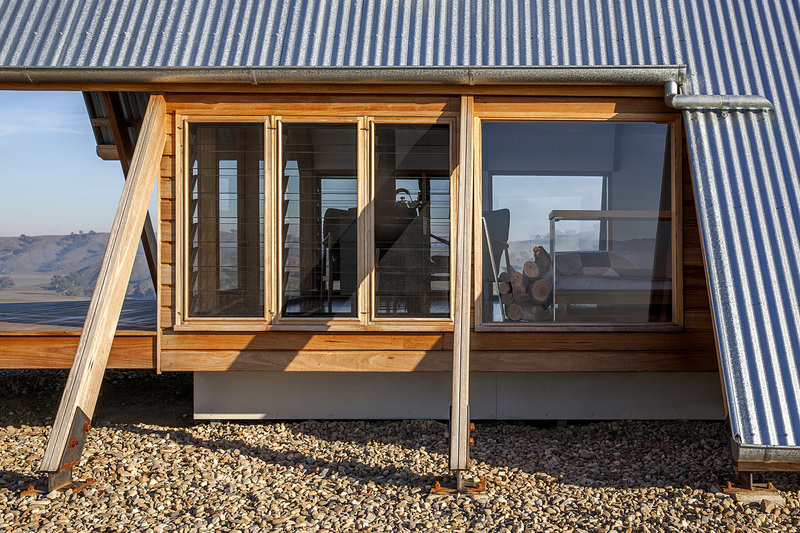 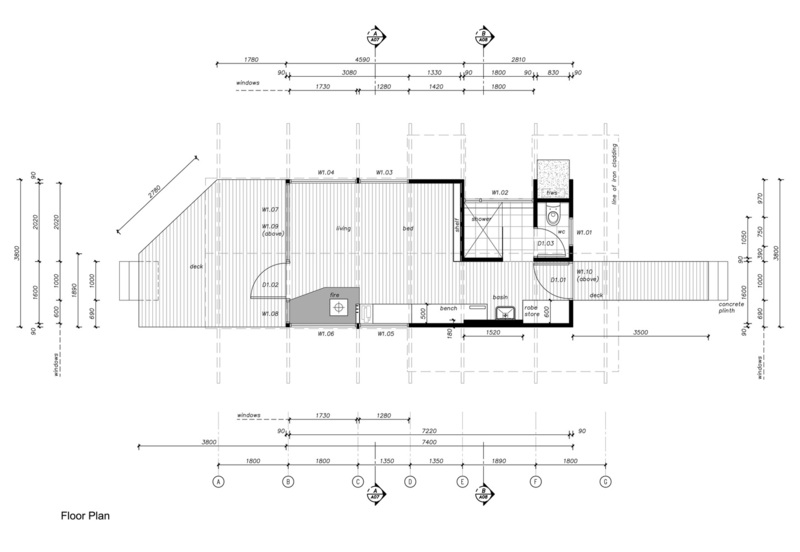 Materials needed to be easily sourced and handled on site by a two person owner-builder team. 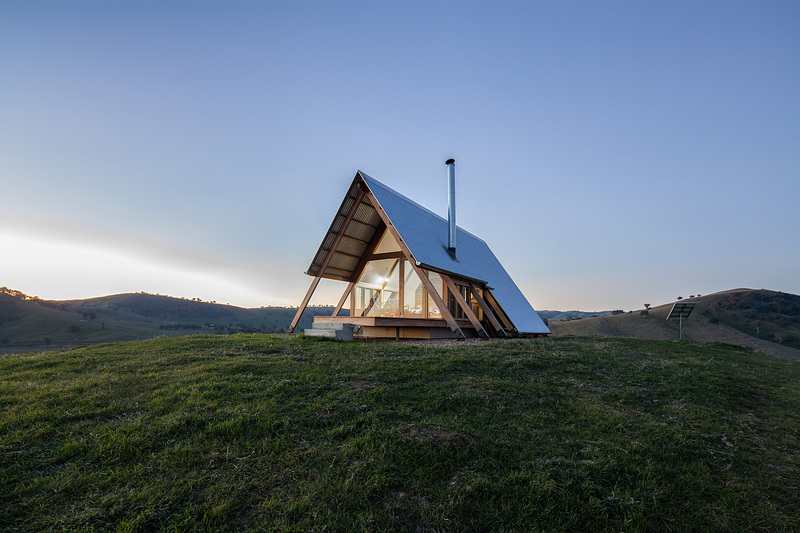 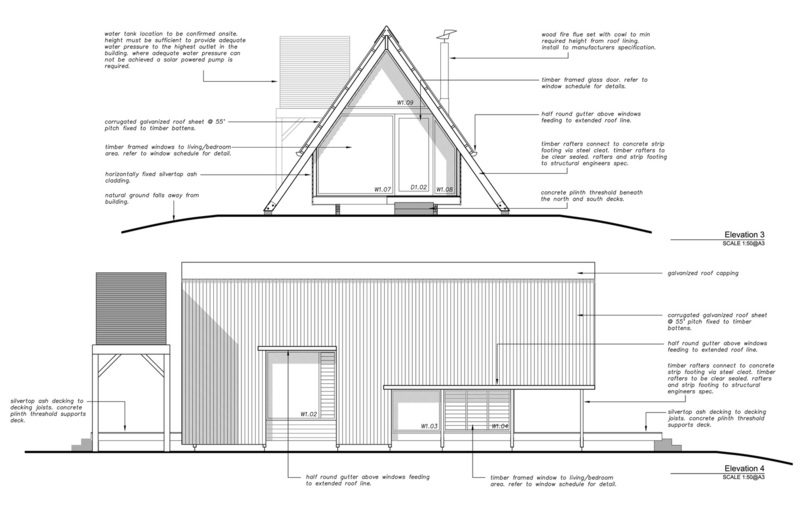 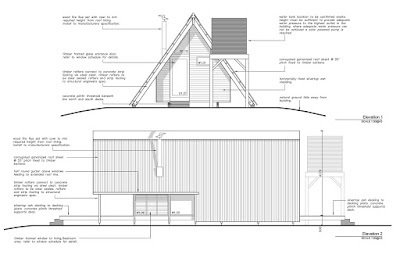 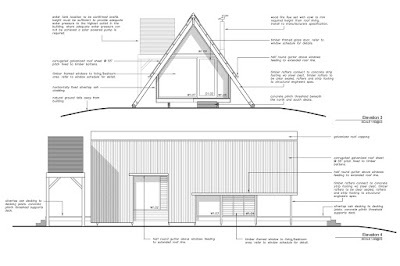 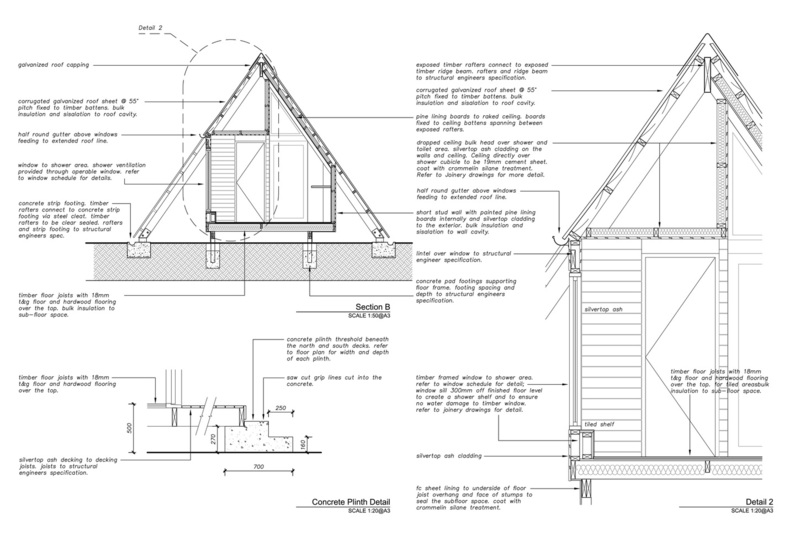 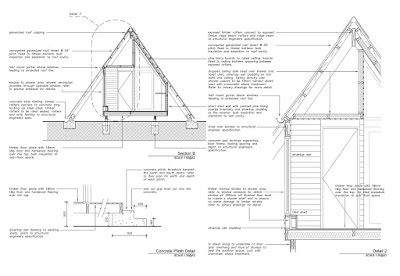 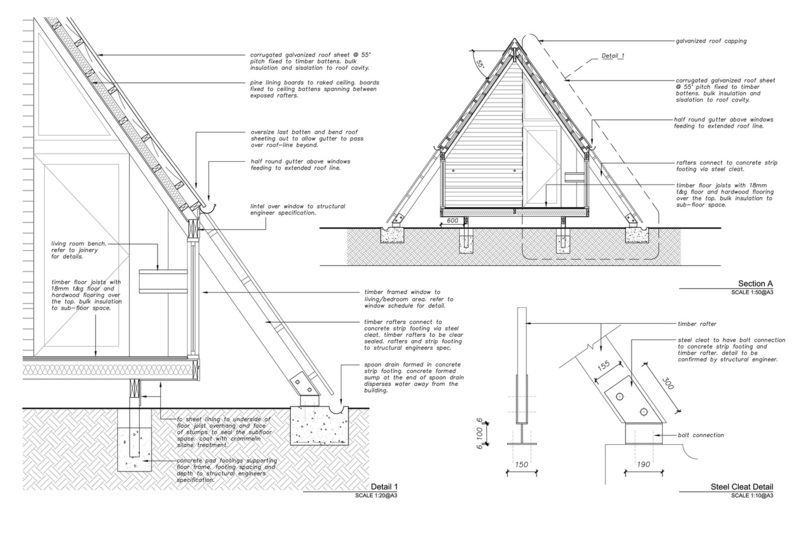 The huts form was inspired by a classic ‘A’ frame tent, which simultaneously provides both refuge from, and connection with, the natural environment. 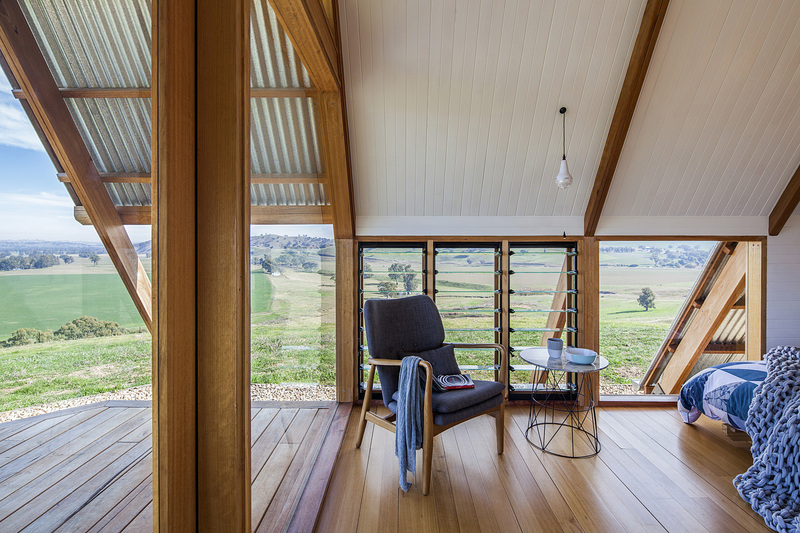 An expressed hardwood structure anchors the building, defining the interior spaces and framing views of the surrounding farmlands. 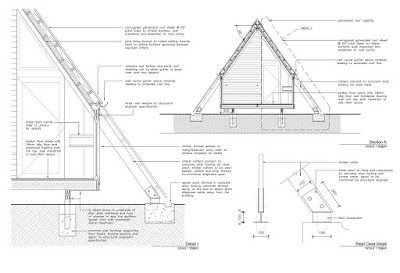 Timber features throughout the hut, with hand crafted details recalling the character of agricultural buildings found on the property.